My Mother’s Beautiful Hands | Becky G? Oh, That's Me! With Mother’s Day approaching, I wanted to publish this poem in memory of my own mom who passed away in 2010 just a short time after her 65th birthday. Her passing happened very unexpectedly leaving many of us in deep sorrow and with a painfully empty void in our lives. In her own quiet and special way she had touched many lives. 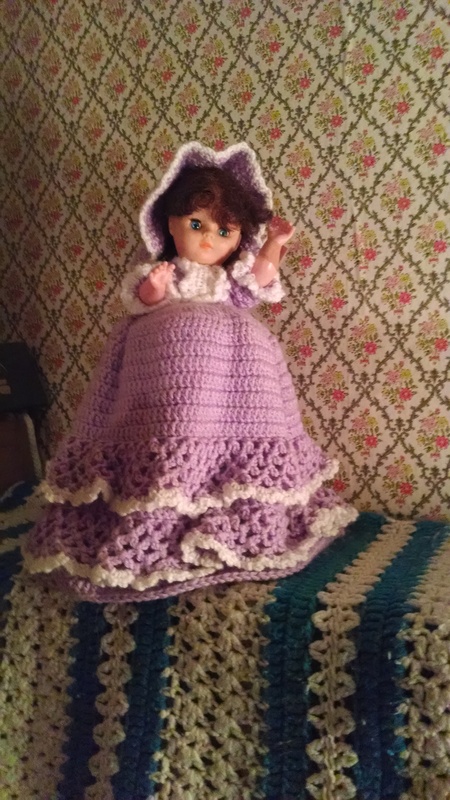 She loved being hospitable and she enjoyed being creative with her hands; sewing, crocheting, and needlepoint are just a hint of her creativeness. For me she was a mother and a close friend and she remains in a special place in my heart. i very much miss visiting home and sitting by my mother’s side. In the old farmhouse where I grew up and on a quiet evening that was my favorite place to be. I know that many others will be deeply missing their mothers this weekend too. My mother sitting so content and so quietly working with her hands. An object was forming, a colorful thing which at first I do not understand. As her mysterious creation grew and took shape, I knew what it was to be. Sometimes a blanket, quilt or doll; perhaps slippers or ornaments for the Christmas tree. the treasured gift is given and her deep love brightly shines, warm and genuine. Where else could I find such a tender love? Where else would I go? Except to my mother’s side, whose warm love could melt a mountain of snow. being created by her with love and with her warm, gentle, and beautiful hands. This entry was posted in Becky G, Nostalgia, poetry, Uncategorized and tagged beautiful hands, love, Mother, Mother's Day, treasured gift on May 10, 2014 by beckyg1003. Memories so pure and sweet. It is beautiful Becky! It reminds me of my own precious Mom and the way her hands seemed to fly as she crocheted. Thank you Kathy, I know you are deeply missing your mom right now, too.